Take home a memory of this special occasion with unique souvenirs! SPECIAL Commemorative Cancellation from the Plymouth Post Office! On July 6, 1761, Gov. 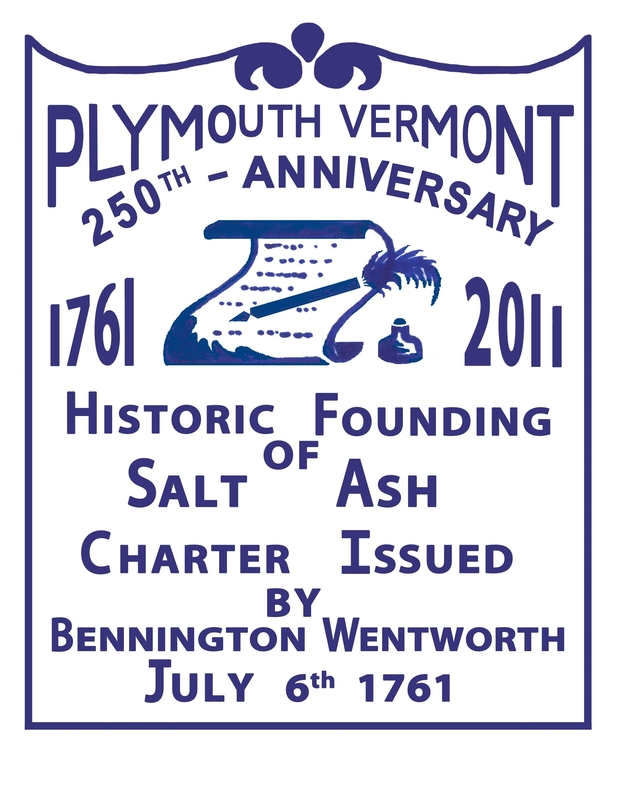 Benning Wentworth of New Hampshire granted a charter for the town of Saltash. The name was changed to Plymouth in 1797. During its 250 year history, the town was shaped by weather, disease, floods, topography, mineral mining, and the work ethic of early New England settlers bringing industry and farming to the area. Now fall, winter and summer tourism attracts people from all over the world. Today the community is a cross section of second home owners, retirees, and generational families. The scenic byway, Route 100 and 100A, take the traveler through some of the most beautiful scenery in Vermont, including lakes, forested hillsides and country stores. It is the birth place, boyhood home, Summer White House and burial site of President Calvin Coolidge. Join visitors, families and friends and learn more about Plymouth’s colorful history. Become a member, make a donation, purchase a small souvenir or simply enjoy the story Plymouth has to tell. Look for the Historical Society banner, American flags and red/white/ blue balloons. We look forward to your visit!! Find us in the Old School House, adjacent to the Cheese Factory. 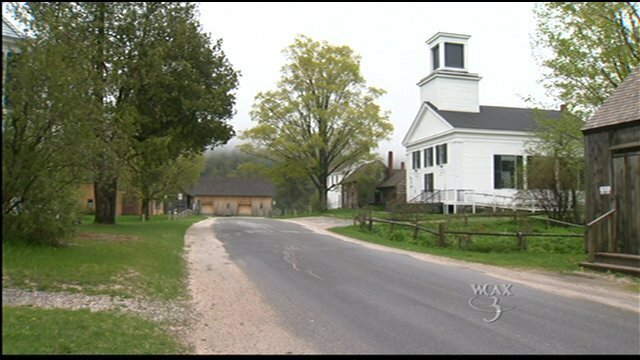 WCAX Burlington featured Plymouth’s 250th Anniversary in May. Click to watch the video. The Plymouth Historical Society has souvenirs available to purchase at the historical building on Saturday’s from 11:00 am – 1:00 pm through the month of August. Aluminum USA made water bottles with 250th logo printed in blue for $10.00 each. The bottles are also avaiable at the front desk at Hawk Mtn Resort and The Wilder House Restaurant within the Coolidge State Historic Site. Other items for sale are magnets, postcards, Plymouth Town Charter, The Plymouth Album hardcover book, and much much more. Come to The Plymouth Historical Society and see whats new for 2011. Sign up to become a member, and help support the societies commitment to perserving Plymouth’s past.